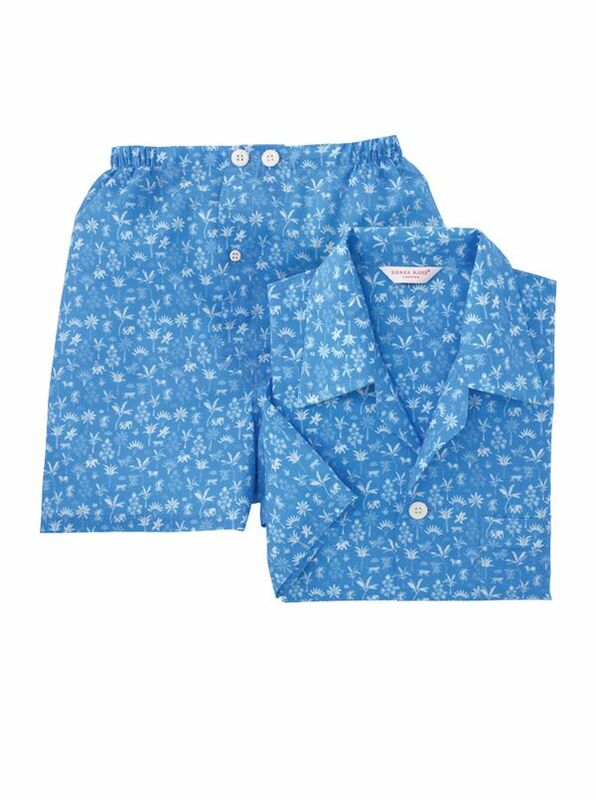 Cotton Batiste Print Short Pajamas by Derek Rose are light and easy. Short-sleeve top with single pocket short, above-the-knee, adjustable elastic waist bottoms. Imported.